I’m delighted to welcome Ileane Smith of Basic Blog Tips to the BlogAid Podcast. She is a walking, talking encyclopedia of helpful information and generously shares it freely everywhere online. Prior to the podcast we had chosen to narrow our topic list down to ScoopIt and YouTube. But, Ileane knows all the connections and she shared the full circle of how to share content on multiple platforms the easy way, and why you should. Even with that, we barely scratched the surface and when you hear this podcast, you’ll understand why I’ve got to have her back on the show. Listen to the podcast now. And, I invited Ileane to have a look at BlogAid’s YouTube channel. So much has changed and I have not kept on top of it. In other words, it could use a lot of help. Ileane agreed to take it as a case study and I’ll be making a video recording of our session so you can get the benefit of her wisdom too. I’m positive you’re going to want to visit all of the sites she mentioned during the podcast. Here are the links. 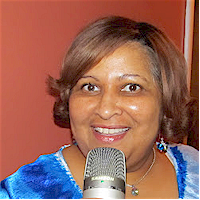 I am so excited to hear Ms. Ileane Smith….This is my first time that I have hear her on a podcast!!! I love her choice of words and how she give clear instructions on scoopit. I am new on scoopit and have no blog experience and I love my scoopit now. I’m on WordPress and having difficultly and stuck. I have the app on my phone and I can create content on the go. Hi Vickie. Ms. Ileane is THE best. You should definitely check out all of the links to her at the bottom of the podcast notes. I follow her everywhere online! If you need help with WordPress, be sure to see my video tutorials and live class options too. I have been following Ileane on her blog and I have to say, she is one of the best in the industry. I have learnt quite a lot from her and I am pleased to say that she has helped me personally by giving me brilliant tips. Thank you for this interview of Ileane. I’m glad you enjoyed it Shalu. Ms. Ileane is wonderful and I learn a lot from her too! Will definitely be asking her back to the podcast. She sure is Atish! I follow her everywhere.